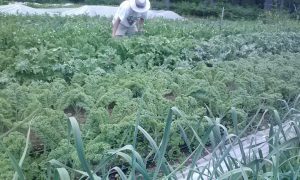 Greens are a group of vegetables that often go overlooked and aren’t given the credit they deserve. Greens can dress up any meal with their vibrant color, enticing flavor and vast amount of nutrients! One B vitamin in particular that is found in some greens (especially dark leafy greens) and cannot be forgotten is folate. Folate is important in the prevention of anemia and also promotes tissue growth and cell function. Getting sufficient folate into the diet is especially critical for women of childbearing age in order to prevent birth defects such as neural tube defects. 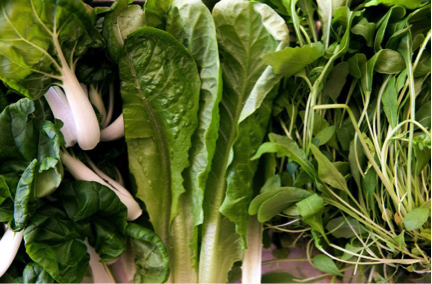 Many foods are now fortified with folic acid (a manmade form of folate); however among the highest natural sources of folate include spinach and romaine lettuce, so eat up! Greens are typically very perishable. 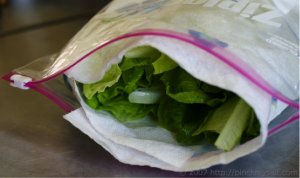 When storing, they should be wrapped in a paper towel to pick up excess moisture and then refrigerated in a perforated plastic bag or container. Always remember to wash your greens before they are to be eaten or cooked. Simply running them under cold water or soaking them in a bowl of water to remove sand or dirt will do. And lastly, the best part about greens is their versatility! 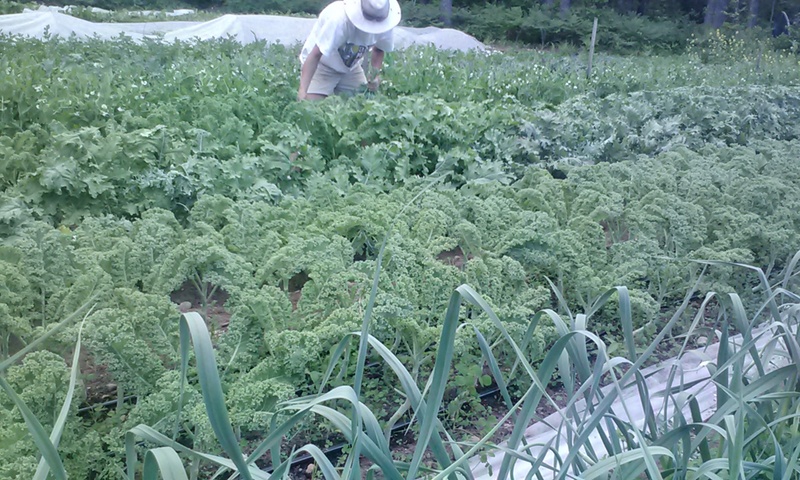 The multitude of varieties allow for greens to be enjoyed in many different ways and added to almost any meal. Of course there are salad greens, such as spinach, romaine and arugula that always play the lead role in mixed salads. However, greens with tougher leaves such as collard greens, bok choy or kale can also be incorporated into soups, stir-fries or even baked into chips! 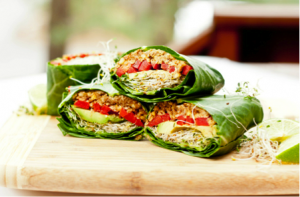 Another way to enjoy greens is to add them to sandwiches or wraps (or used as the wrap itself), which will increase the meal’s overall nutritional content, flavor and texture. Steaming is also a great way to prepare greens because this method helps to retain valuable nutrients. Something to be aware of is how considerably greens cook down from their original volume. 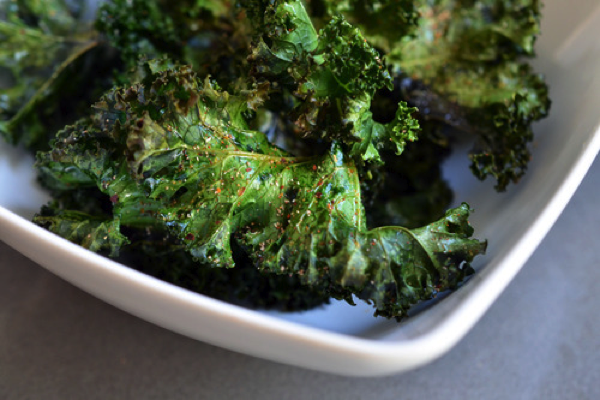 For example, 1 pound of raw kale results in about 2.5 cups of cooked kale. Be sure to keep this in mind especially when making large recipes. -Blend greens and freeze in ice cube trays, making it an easy addition to smoothies or soups when ever you need them. Blend greens with anything from green tea, coconut milk or chicken stock. 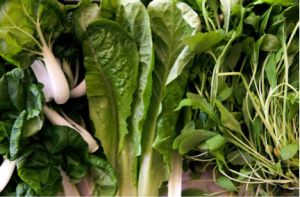 There is a plethora of greens available at the farmers’ market, including spinach, bok choy, cabbage, kale, chard and much more! Just some of the farms where you can find greens include White Cedar Farm, Riverside Farm, The HERB FARMacy and Heron Pond – Get to the last winter market this Saturday and stock up!